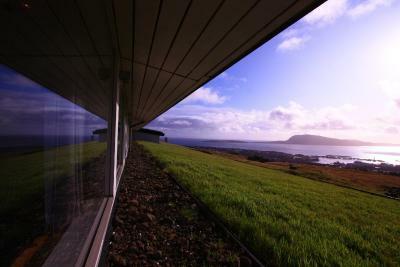 Lock in a great price for Hotel Føroyar – rated 8.4 by recent guests! Our receptionist was excellent - nothing was too much trouble for her, she kind all the answers to our questions and anticipated our needs a head of time. Location, location, location. Each bedroom and room had a great view. Staff was always super helpful with "nothing is a problem" attitude :). I really like the design and details in the foyer and rooms, nice combination of traditional and innovative elements. We stayed four nights with a rental car and were able to see almost all of the islands. It was nice to come back to Tórshavn in the evenings for dinner and this property was convenient for parking and driving out of town. We did have to drive to downtown but parking there was never a problem. The view from our room was fantastic and the beds were quite comfortable. The breakfast also had a nice view and an adequate selection. We loved the location of this hotel! 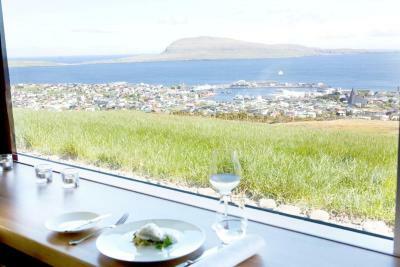 We had sweeping views of Torshavn from our room and the restaurant. The staff were cheerful and very helpful. The location and the view from the room is great. The hotel is in general quite good and comfortable. The breakfast and lunch buffets are AMAZING! Every room has a gorgeous view. The staff is extremely friendly and helpful. I loved my stay at Hotel Foroyar! It's a fantastic place, so silent up at the country side. Restaurant Gras makes fantastic food a place to visit. Great location overlooking the town and harbour, with gorgeous views from the room. Quiet, clean and the bed was very comfortable. It is a steep, but straightforward 2km walk into the centre of Torshavn, and also easy drive (or you could walk) to the shopping centre. Hotel Føroyar This rating is a reflection of how the property compares to the industry standard when it comes to price, facilities and services available. It's based on a self-evaluation by the property. Use this rating to help choose your stay! 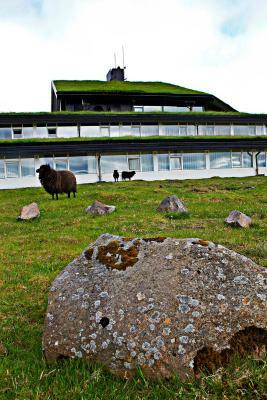 The natural grass roof of this peaceful, design hotel matches the surrounding green countryside. 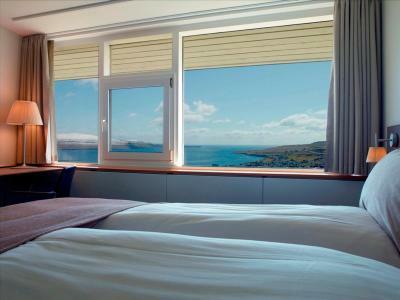 All rooms overlook Nólsoy Fjord and central Tórshavn, which is 1.2 mi away. Wi-Fi is free. Hotel Føroyar was designed by well-known Danish architects, Friis & Moltke. 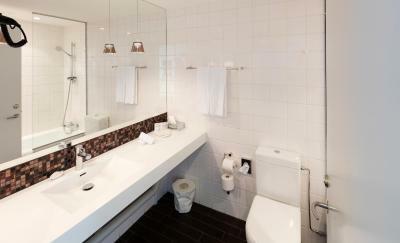 Guest rooms feature calm colors and bright, modern design by Philippe Starck and Montana. All have cable and satellite TV channels. The rugged local landscape is popular among hikers. Føroyar Hotel is 3 minutes’ drive from the Nordic House cultural center. The old town, Tinganes, is 1.9 mi away. 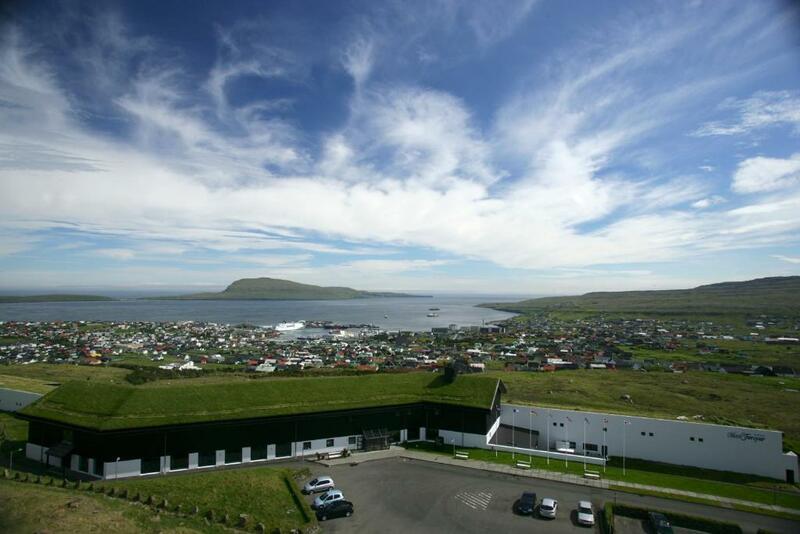 When would you like to stay at Hotel Føroyar? This spacious room features a sofa area, mini bar, tea/coffee making facilities and a flat-screen TV with satellite channels. The bathroom with a spa bath offers guest bathrobes. Stylish room featuring a mini-bar, tea/coffee facilities and a flat-screen TV with satellite channels. This stylish room features a mini bar, tea/coffee making facilities and a flat-screen TV with satellite channels. The bathroom with a spa bath offers guest bathrobes. This family room has a satellite TV, sofa and electric kettle. Please note that this room is located in the annex, a 2-minute walk from the main building. This twin/double room has a electric kettle, seating area and sofa. House Rules Hotel Føroyar takes special requests – add in the next step! All older children or adults are charged DKK 300 per person per night for extra beds. Hotel Føroyar accepts these cards and reserves the right to temporarily hold an amount prior to arrival. Please inform Hotel Føroyar of your expected arrival time in advance. You can use the Special Requests box when booking, or contact the property directly using the contact details in your confirmation. 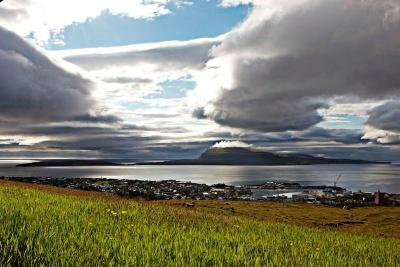 We enjoyed our stay overlooking Torshavn. They offer a rich breakfast buffet. Rooms were well organised and tidy. Very bad wifi reception in the rooms, despite great connectivity by the reception. Super nice view and comfortable bed. The room was on the small side for a family of four. The view, breakfast and the fitness center. Small restaurant (capacity, quickly filled up! Nice view! Nice Room Service. The TV was very outdated. And some of the other interior. The window leaked wind. Breakfast was not good enough. And the price was to high for what you get. The location and views were just perfect – though you really need a car to get around. Loved the surroundings. And the breakfast was good. The hotel is very far away from the center, and because of the hill, it was a challenge to come back (I am pregnant). Otherwise, nothing on the minus side. There were some renovations on the road, so I hope they think of the public transportation or something. The hotel has an unique design. It is cozy and the view is stunning. Breakfast is tasty, staff is very nice, helpful and check in and check out are fast. Rooms are dated. The food is average. The view is amazing. There is lots of parking and heated bathroom floors. Great view over city! And very welcome people! Both at reception where they helped me with ideas what to & called tourist office to check what is open on Monday! But also the cleaning were very kind. And at the restaurant we’re so nice when I asked for mint tea which they did not have to suggest that they do it with real mint leaves they have kept for other purposes! My flight was cancelled and all were so kind to rebook easiliy. Rooms are nice & spacious, Nordic design. You feel good & at home! Thank you! Great view from the breakfast place! Food selection was great too!